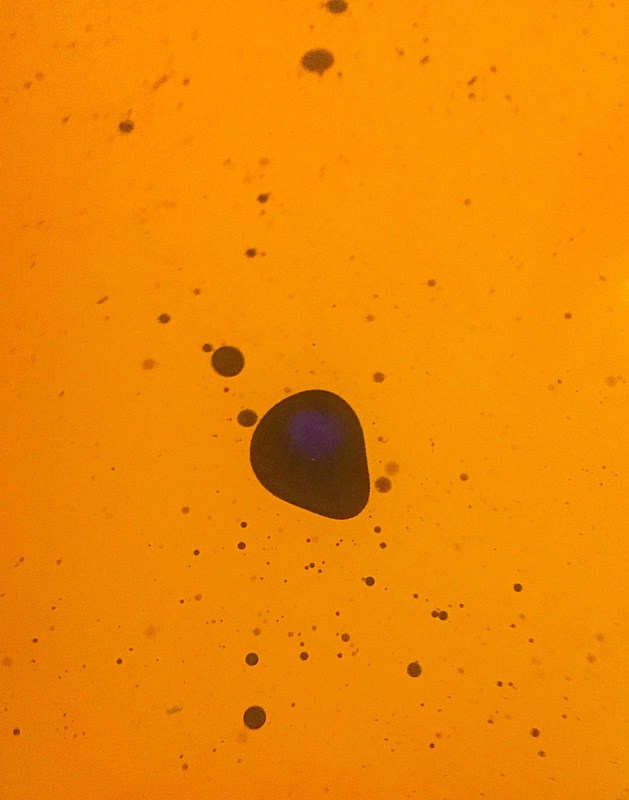 The lava lamp bath bomb is a product from lush that has proved quite difficult to get my hands on. This product was initially released as part of the exclusive Oxford Street store range, but due to a few issues found in the formula of the product it was soon removed from the shelves. Eventually the reformulated product was released back on the shelves in Oxford street, but every time I managed to make the long trip to London due to high depends the product was sold out. 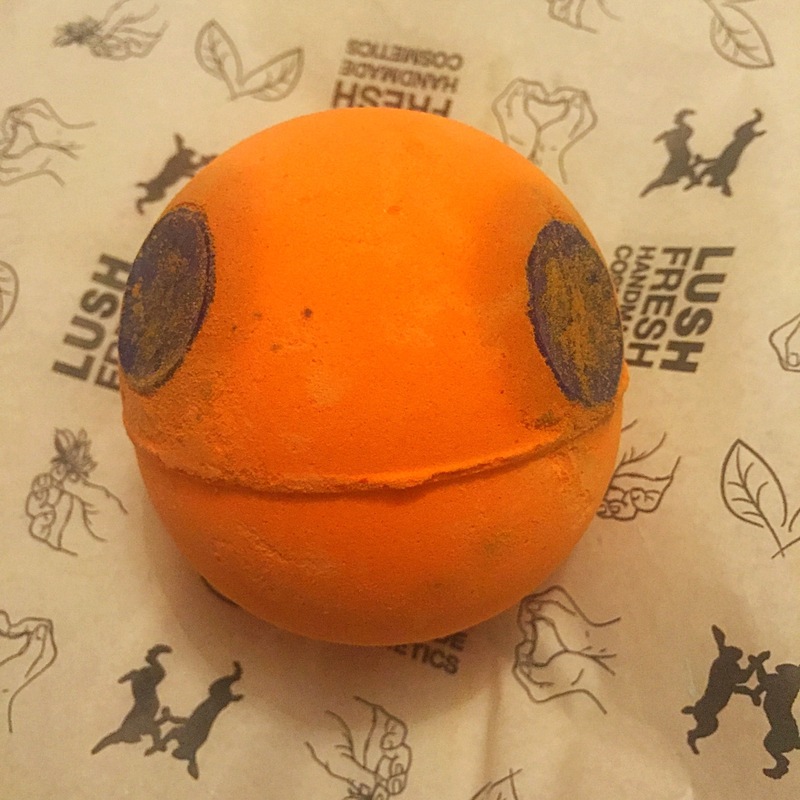 I was therefore over the moon when the Lava lamp bath bomb was made available as part for the general range online and in stores across the Uk and I could finally get my hands on one of these much wished for products. The lava lamp bath bomb is inspired by and designed to resemble the lava lamp that was first designed in the 60s. I remember being obssed by them when I was younger and very happy when I received a orange lava lamp in my stocking one Christmas! I was therefore very excited to see if this product would live up to the name. Firstly the design of this product is super eye catching and really represents the vibes of the 60s. 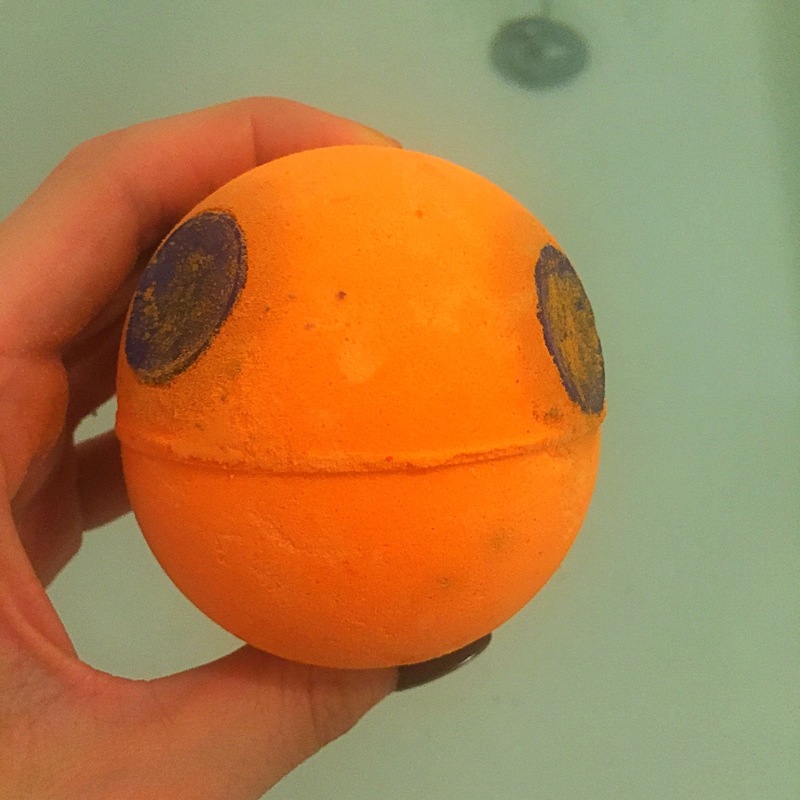 This bath bomb is a vivid orange colour with three purple circular discs. I also love that the placement of the discs look a little like a smiling face. Scent wise the lava lamp bath is a lovely strong product. Featuring a triple orange mix of tangerine, Sicilian mandarin and orange flower. This product however is not a citrusy product it is more of a sweet orange scent. Once in the water the product is incredible! 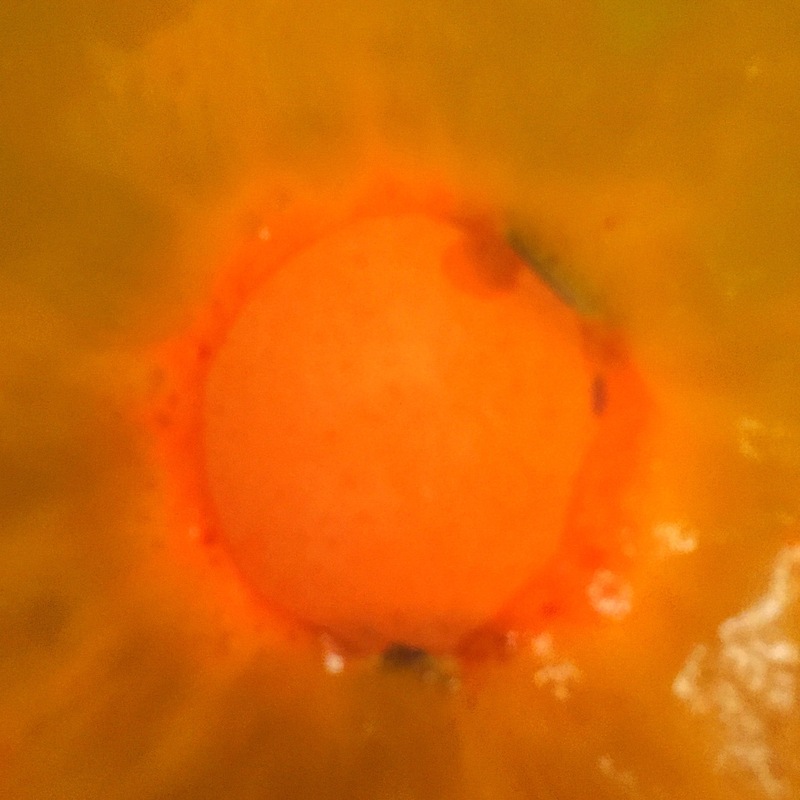 The lava lamp bath bomb is a very fast fizzer and instantly turns the water a groovy orange colour. As it dissolves it releases the little purple discs which contain a good helping of cocoa butter. As these discs float around the water they start to melt and release their purple butters. This is where the bath bomb get its name from, as the hybrid of bath bomb and bath oil creates a psychedelic show in the bath mimicking that display put on by a lava lamp. Due to this product containing cocoa butter i found the lava lamp bath bomb to be extremely moisturising and it left my skin feeling very soft. Although lush have reformulated this product to get rid of the staining issues, this bath bomb does still leave a bit of a purple mark around the edge of the bath. However this does wash off pretty easy. Overall I love this bath bomb. It smells great and puts on a fantastic show. The wait to get my hands on one of these was defiantly worth it. It looks really pretty! Makes me wish i had a bath tub even more.